I dont know how much of this is true or false but it does raise questions about the whole case, unless you believe in never ending changing narratives. I cant say I am familiar with Richard L. Franklin so don't know if he just has an axe to grind or just wants to get to the truth. what seems to be the case here is that many people have changed their accounts and that the starr investigation may have not been as thorough as it should have been. I see I have mistakenly posted this in the uk section rather than the us section, perhaps one of the numerous mods could move it over. By numerous you meant kindly, of course. 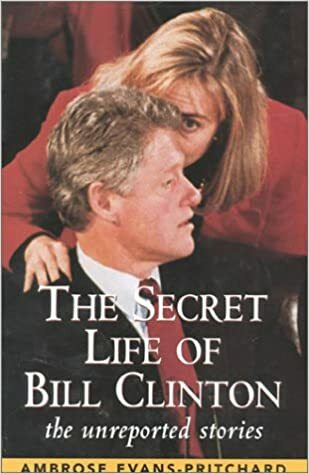 Dino, I believe a much better source on the death of Vince Foster is the book by Englishman, Ambrose Evans-Pritchard, The Secret Life of Bill Clinton: The Unreported Stories. It covers most of the conspiracy theories that Republicans generated about the Clinton's while Bill was in office. Whether or not you believe the stories, it makes for great reading and goes into much detail, not only on Vince Foster, but the Oklahoma City bombing and the white supremacist movement at Elohim City, Oklahoma. https://en.wikipedia.org/wiki/Elohim_City,_Oklahoma. Better than a thriller fiction work.